Starbucks has developed an internationalization strategy to enable the company to open stores and franchises in countries across the globe. Market research is at the core of many of the market entry strategies Starbucks is employing. This case study will consider how market research has strengthened Starbucks entry into the Chinese markets. Starbucks entry into emerging and developed markets is informed by market research. Starbucks conducted market research to enable a deeper understanding of the Chinese markets, and the way that capitalism functions in the People's Republic of China (PRC). China contains a number of distinct regionally-based markets, a factor that makes market research crucial to launching new stores and franchises in China. A deep understanding of intellectual property right laws is critical to successful market entry in emerging markets. Starbucks articulated an entry strategy that would address the dominant Chinese markets and that was designed to be as inoffensive with respect to the Chinese culture as possible. Instead of taking the conventional approach to advertising and promotions—which could have been seen by potential Chinese consumers as attacking their culture of drinking tea—they positioned stores in high-traffic and high visibility locations. Moreover, Starbucks very deliberately began to bridge the gap between the tea drinking culture and the coffee drinking culture by introducing beverages in the Chinese stores that included local tea-based ingredients. Market research supported the development of Starbucks' competitive internationalization strategy. The overarching competitive strategy was to create an aspirational brand. Prospective Starbucks customers in China could look forward to what Starbucks refers to as The Third Place experience. The Starbucks experience conveys status that is highly appealing to those aspiring to Western standards or to climbing the ladder in their own culture. Market research indicates that brand consistency is important to Starbucks' customers. When Starbucks opens a new store in an emerging market like China, the best baristas are sent for the launch and to conduct training of the baristas who will carry on when once the launch has completed. Market research helped to identify the attributes of capitalism in the Peoples' Republic of China (PRC). The middle class in China has rapidly accepted Western standards as an acceptable standard of the bourgeois class. Moreover, Chinese consumers accept purchases of luxury goods as a means of pursuing quality lifestyles. Under the influence of Communism, the Chinese considered conspicuous consumption to be decadent or indicative of a lack of a nationalistic orientation. Capitalism in The Peoples' Republic of China supports the status-conscious population that manifests its interest in keeping up with the Jones' through excessive luxury consumption. The Chinese government's support of luxury consumption is particularly apparent in certain cities in China. The second-tier city of Chengdu serves as a market research case study in Chinese governmental support of capitalism. Chengdu promotes capitalism at a level evidenced by the presence of stores like Louis Vuitton and Cartier in its downtown. According to the Chengdu Retail Industry Association, stores selling 80 percent of international luxury brands are located in Chengdu, and the city ranks just third in luxury sales after Beijing and Shanghai. It is easy to see how this national orientation toward luxury goods extends to the Starbucks brand, which is characterized by a certain degree of exclusivity. It is essential to understand the intellectual property rights laws and licensing issues when planning market entry in an emerging market. Starbucks has used intellectual protection laws to prevent its business model and brand from being illegally copied in China. Four years after opening its first café in China in 1999, Starbucks had registered all its major trademarks in China. A number of Chinese businesses have overstepped legal bounds in their efforts to mimic the successful Starbucks model. The organization and structure of Starbucks' global operations were informed by market research. The organizational strategies employed by Starbucks were derived from Starbucks' experiences in other emerging markets supported an early recognition that China is not one homogeneous market. The organizational strategies employed by Starbucks addressed the many Chinese markets. The culture dominant in northern China differs radically from the culture in the eastern parts of China, as reflected in the differences in consumer spending power inland which is considerably lower than the spending power in coastal cities. The complexity of the Chinese markets led to regional partnerships to aid in Starbucks' plans for expansion in China; the partnerships provided consumer insight into Chinese tastes and preferences that helped Starbucks localize to the diverse markets. Northern China - a joint venture with Beijing Mei Da coffee company. Eastern China - partnered with Taiwan-based Uni-President. Southern China - worked with Maxim's Caterers in Hong Kong. 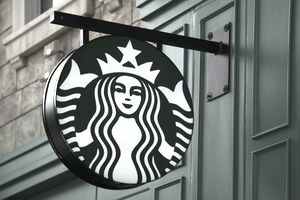 Starbucks' competitive advantage is built on product, service, and brand attributes, many of which have been shown through market research to be important to Starbucks' customers. Western brands have an advantage over local Chinese brands because of a commonly accepted reputation for consistently higher quality products and services, a factor that establishes the Western brands as premium brands in the minds of consumers. When Western brands attempt to increase market share by cutting prices, they erode the very competitive strategy that gives them an edge in consumer perceptions. Moreover, Western brands cannot effectively maintain a lower pricing strategy than local Chinese brands. Maintain brand integrity in new markets. Starbucks' global brand is valuable and maintaining brand integrity is a fundamental focus in Starbucks' internationalization efforts. The baristas in China acted as brand ambassadors to help embed the Starbucks culture in the new market and ensure that high standards for customer service and product quality are maintained at each new and established local store. Starbucks' ability to address changing markets is honed by effective and ongoing market research. Establishing and maintaining a global Starbucks brand does not mean having a global platform or uniform global products. Starbucks marketing strategy in China was based on customization in response to diverse Chinese consumer target segmentation. Starbucks created extensive consumer taste profile analyses that are sufficiently agile to enable them to change with the market and to create an attractive East meets West product mix. Moreover, the localization effort is sufficiently flexible to permit each store to have the flexibility to choose from a wide beverage portfolio. Does Your Brand Resemble the Old Recliner in the Den? When Is Market Research Really Marketing Research?